We are open by appointment only for you to stop in and visit your favorite parrots. So call us and schedule a visit soon. ThIs policy may change down the road so keep an eye out here and our facebook page to keep abreast of any changes. Why not consider a donation, it doesn't have to be a lot....if Galleon Treasures Sanctuary could get just $10.00 a month, that's less then going out to eat at a Mickey D's or the Kings place for a burger, fries and a shake! For the parrots it adds up! 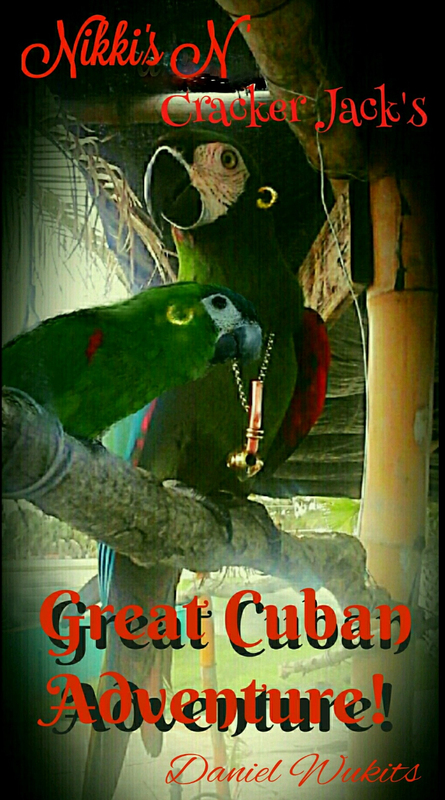 Yes these are not your typical pet parrots, but because of their special needs and circumstances, they now call Galleon Treasures Sanctuary their home.... it costs a lot to feed and maintain all the wonderful parrots, some who have pricey medications and food requirements.... just $10.00 a month will help save a life, an ever grateful parrot's life. We need friends like you, so please take time, think about making a difference and donate $10.00. It takes only a few to make a difference in the happiness of all these special and wonderful animals. It's because of all of you who give regularly and the folks who drop a bucks in the donation boxes that make it possible for all to enjoy the Parrots. So become a Parrot Patriot by volunteering or donating today. Thank you for all you do and keep doing for our feathered friends. Commodore Daniel Red and all the Volunteers of Galleon Treasures. We can still use Pellets and Fresh Veggies but PM Daniel Christian Red to find out what types are needed. New 13 piece by Caitlin Wilson broadcast on 6/7/2018. Want to buy Dan's New book to support Galleon Treasures? Click on the image to the Left.